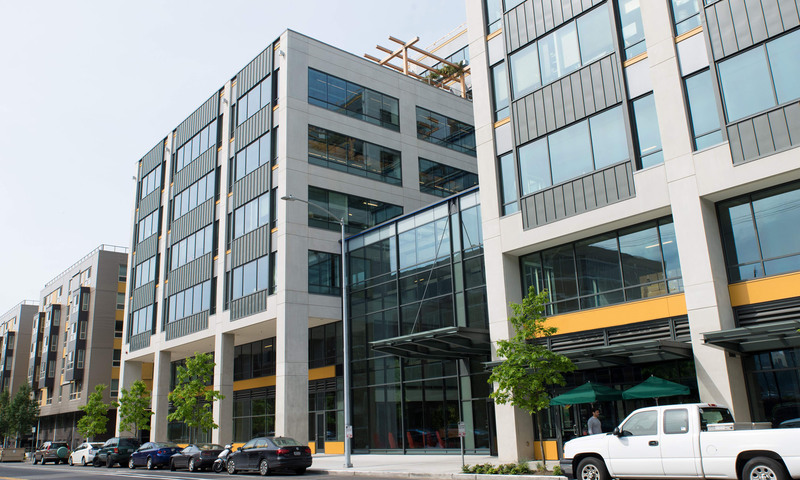 We recently opened the doors to Facebook Seattle‘s new office at Dexter Station. We’re excited to move into this new space as our team continues to grow. The open layout designed by Frank Gehry fosters our open and transparent culture, and helps connect the teams across the organization that are working together to connect the world. We now have more than 1,000 employees in the Seattle region across more than 100 teams, with expertise in everything from engineering to product design to data science. We expect to keep growing. It’s hard to believe that we opened our first office in Seattle nearly six years ago with just three engineers. Even though we started small, Facebook Seattle has had a big impact on many Facebook experiences and the systems that keep them running. In our first year, we released video calling and redesigned our mobile site. Soon after, a team of engineers began working on a cold storage system, which was put into production in early 2014. Now, Facebook is looking ahead to the next 10 years of its journey, and the people here in Seattle will play a big part in building the technologies and products that will get us there. Facebook has already connected 1.65 billion people, and we can connect even more by providing developers around the world with tools that make it easier to build and grow their apps. Many of our teams that work on developer platform products, such as Analytics for Apps, Sharing, Games, Login, Account Kit, and Plugins, are based in Seattle. We also have a team here working on Nuclide, Facebook’s open source IDE composed on top of Atom. Nuclide has features like auto-completion and tools for all of Facebook’s language and runtime technologies, including the React Native library, so developers have a unified experience when building on web, mobile, and back-end systems. Seattle is also the home of video calling in Messenger. The team here built the entire end-to-end experience, with features like full-screen video calls and video chat heads that let you use other apps at the same time you’re connecting with friends, as well as the back-end services in our data centers that make video calling fast and reliable. These capabilities built for Messenger also power a number of other real-time experiences across Facebook, from the green indicator that a friend is online to play-by-play updates in Sports Stadium. On the back end, Seattle plays a key role in delivering the photos and videos shared across Facebook and Instagram. Along with the cold storage system we shipped in 2014, the Seattle team invented a number of other technologies to reliably manage that data, including the F4 store, which saved petabytes of space in our data centers, and Blu-ray storage, which will further reduce power consumption and improve the environmental footprint of backup data storage. On top of that, our data infrastructure team developed the software that makes these technologies run, which is becoming even more important and challenging as people share more and more video on Facebook. We’re also building teams that are thinking about the experiences of the future. The computational photography group in Seattle is focused on creating new tools and technologies to improve image and video experiences across Facebook. Oculus, which has teams in both Seattle and nearby Redmond, is developing a state-of-the-art virtual reality platform that will transform the way people communicate and connect. While our work is focused on connecting the world, the people at Facebook Seattle are equally passionate about connecting with the local community. We’ve recently done a culture-focused hackathon at the Space Needle and diversity-focused hackathons for LGBTQ youth and students of color. During Global Causes Day, a company-wide initiative that empowers people at Facebook to give back to the causes that they care about, our Seattle workforce volunteered with Seattle Parks & Recreation and at Ballard Boys & Girls Club. We’ve also participated in local events in support of World AIDS Day and Habitat for Humanity. We have a lot to look forward to over the next 10 years and are invested in making Seattle our home for that journey. With 1,000 employees in the region already and space for 1,000 more, we are thrilled to leverage the great talent in Seattle and help the community grow along with us.